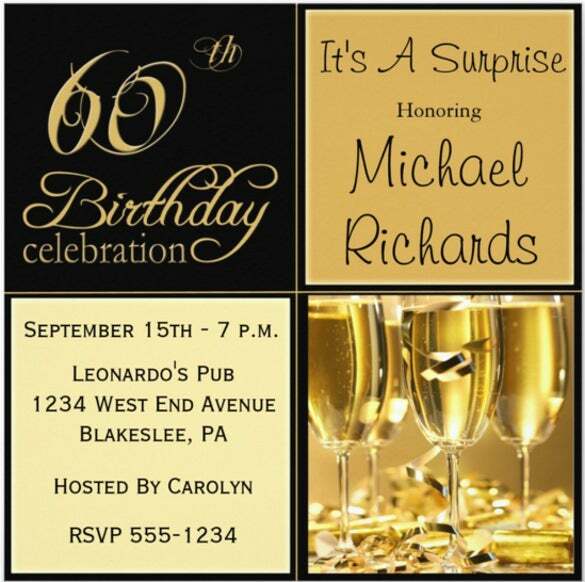 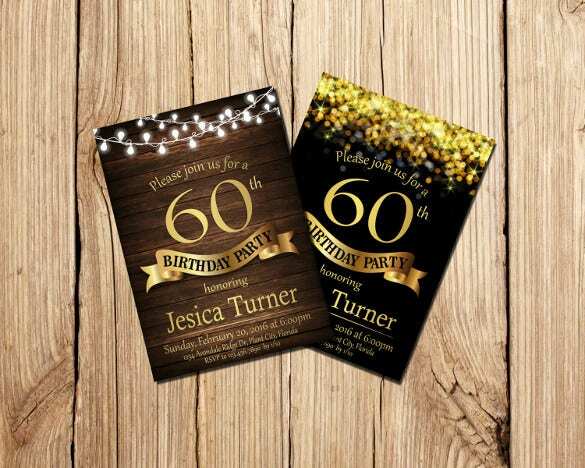 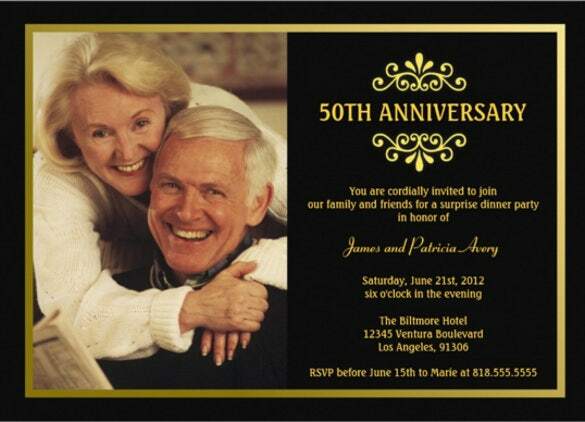 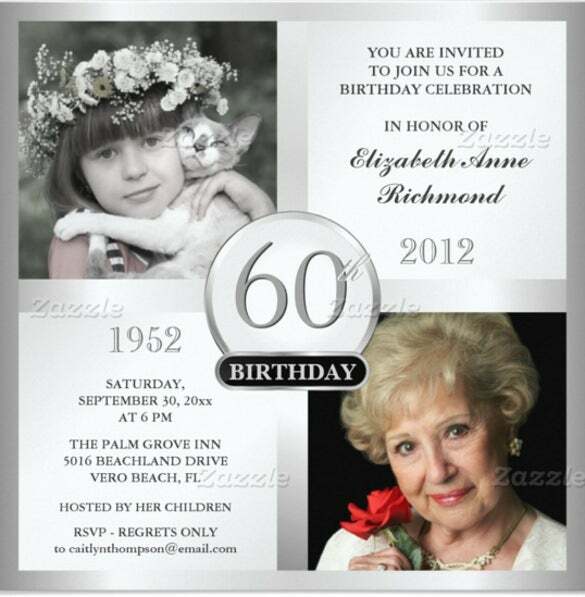 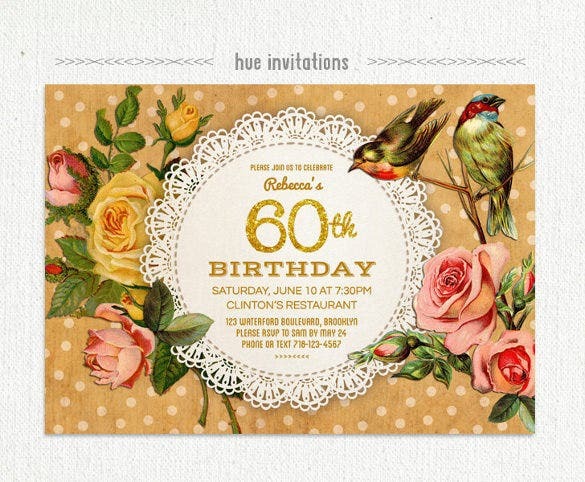 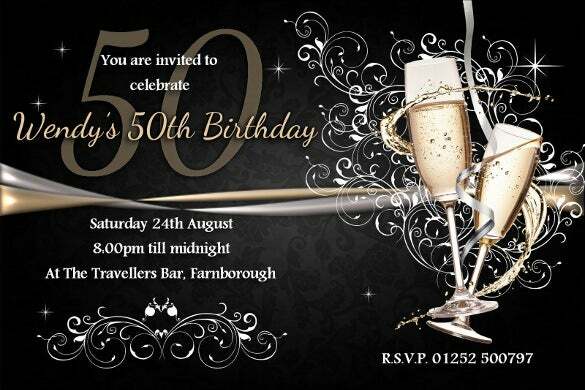 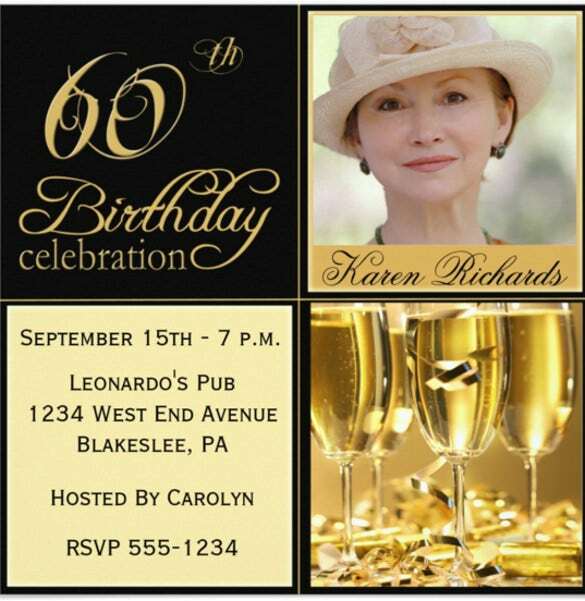 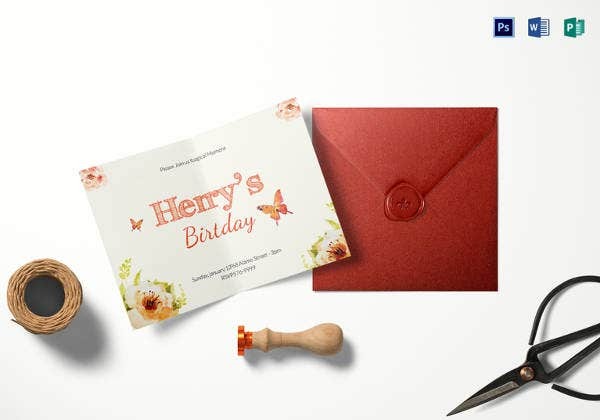 60th Birthday of your own or any of your near and dear one is always very special, so design the invitation cards keeping in mind the special occasion. 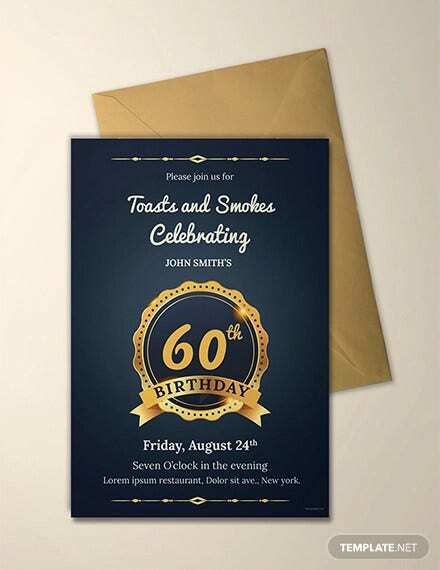 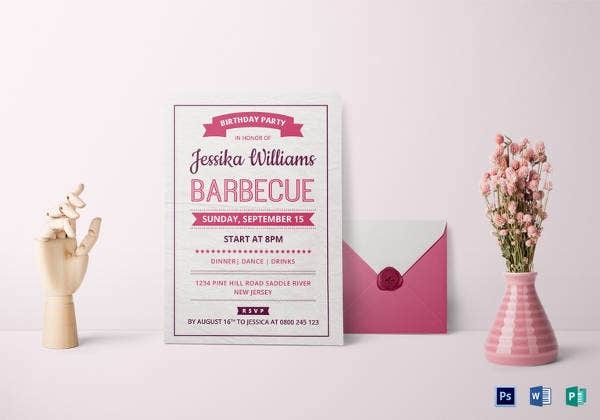 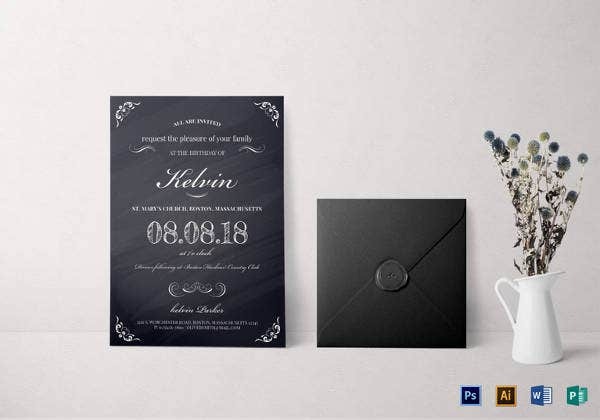 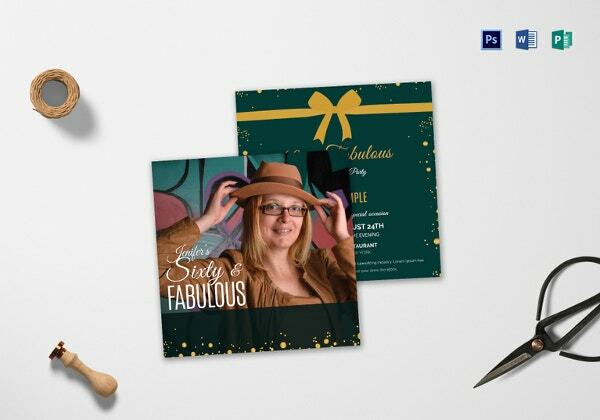 You can find these invitation formats in word, psd and pdf etc. 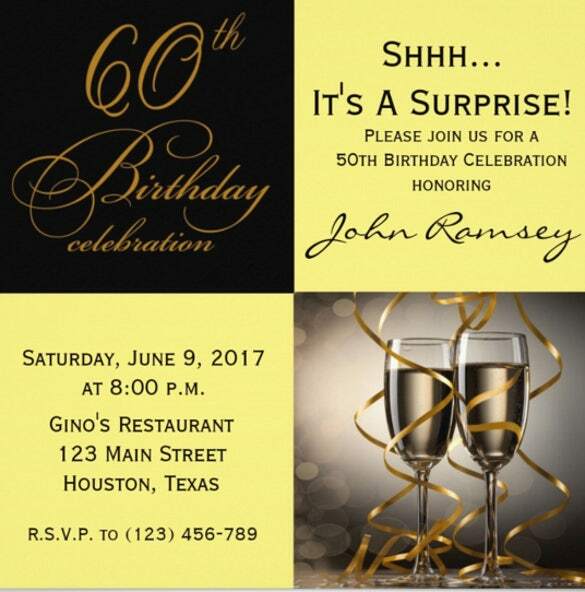 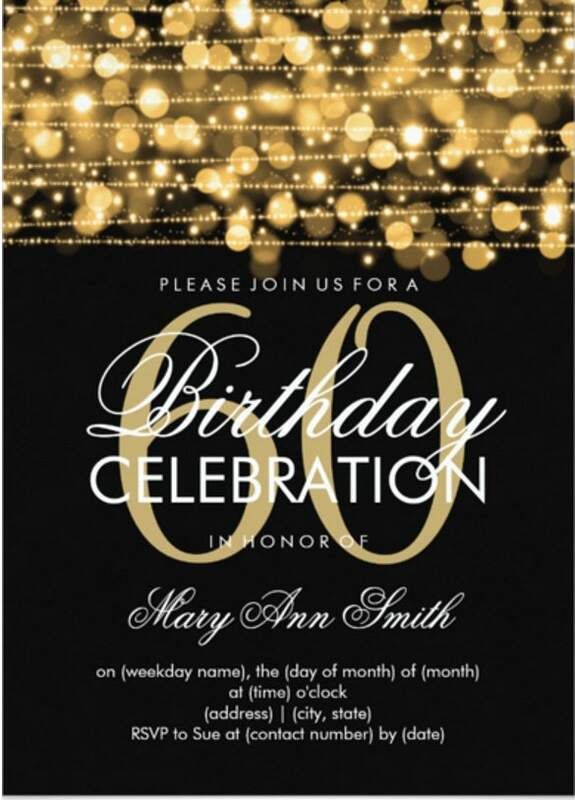 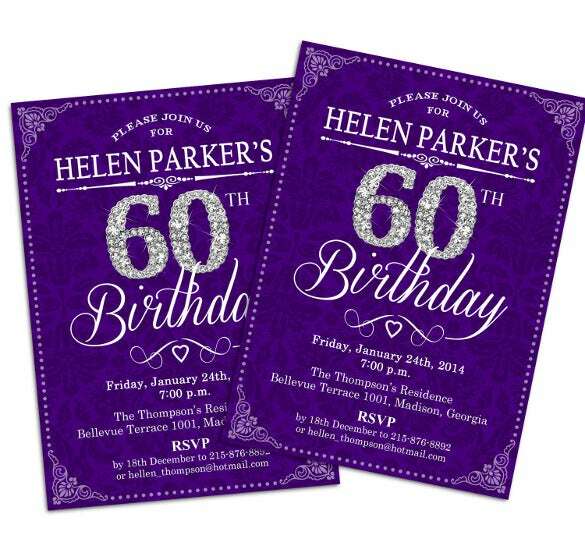 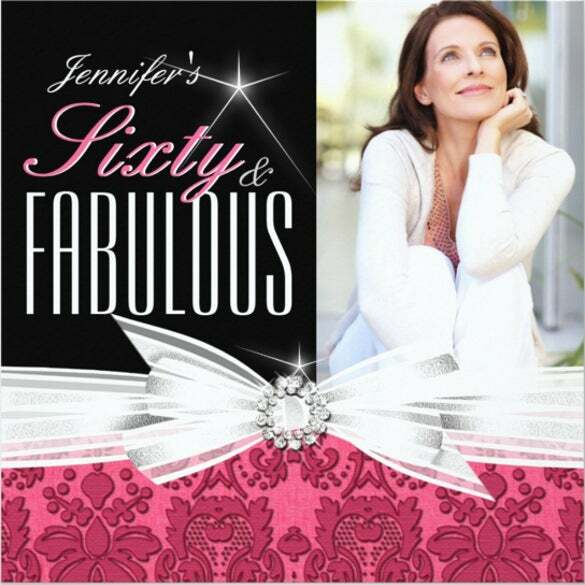 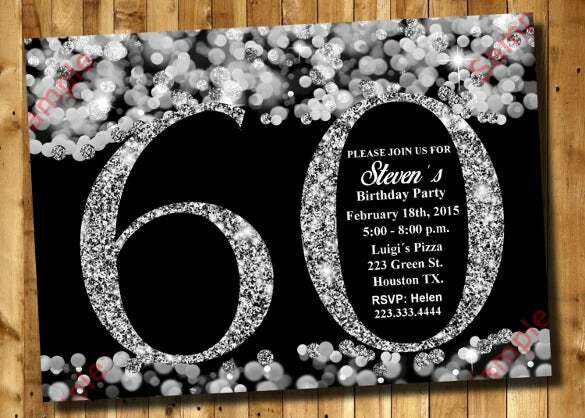 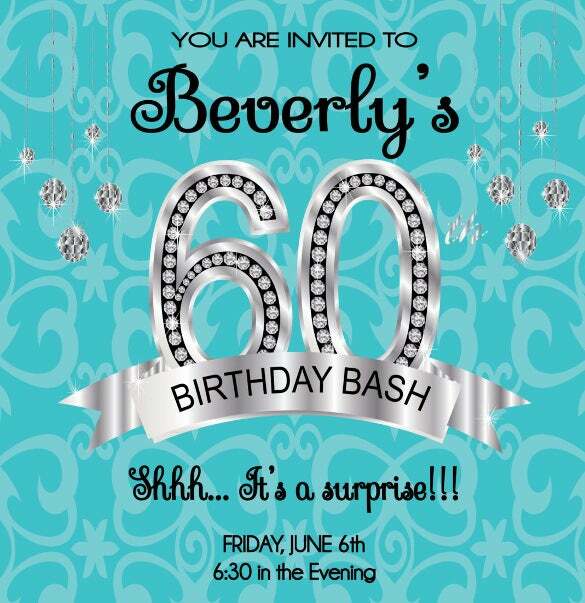 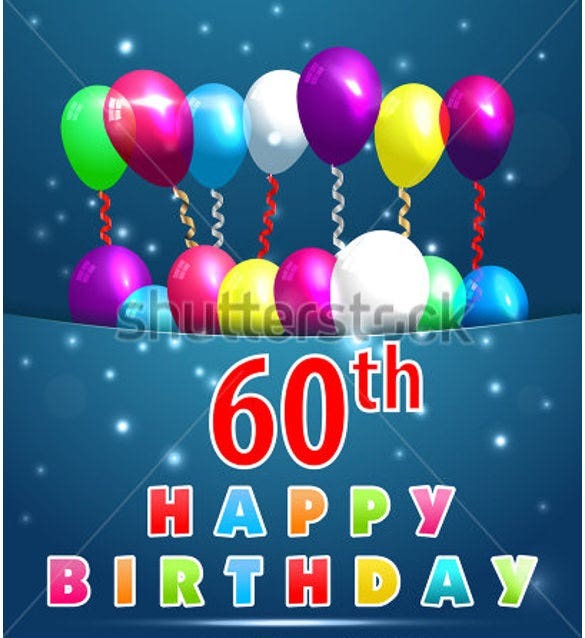 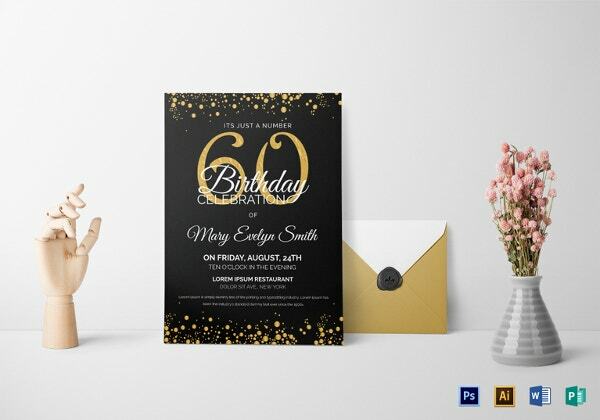 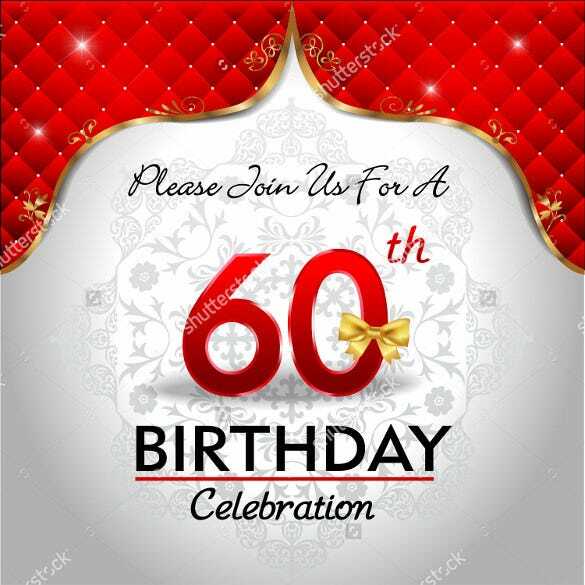 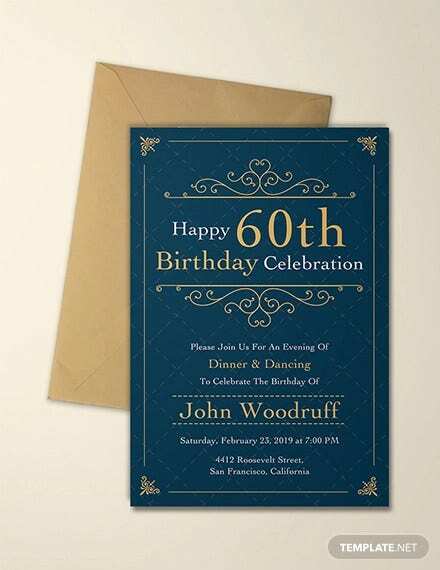 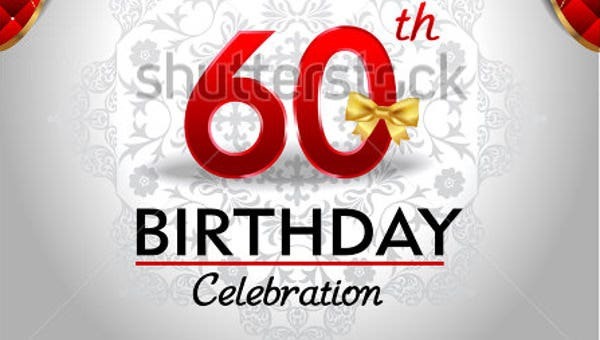 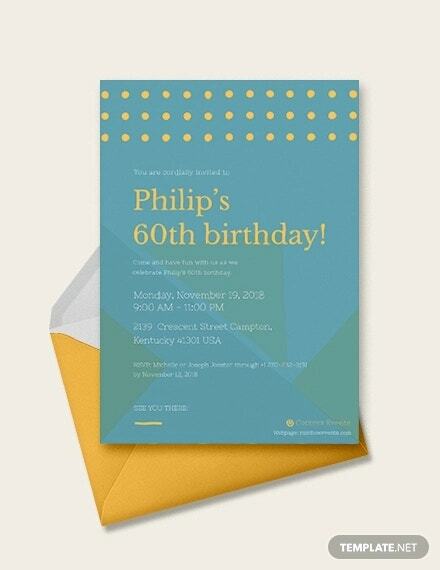 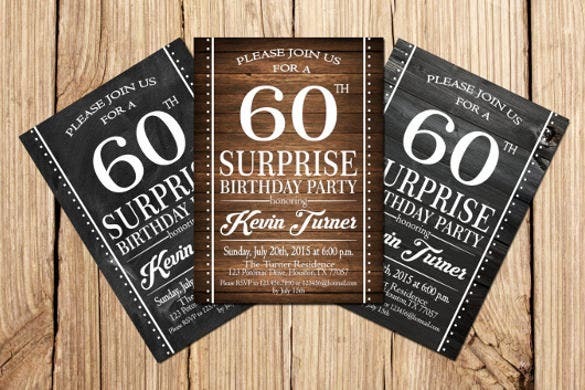 Add image of the person whose birthday is you planning to celebrate and get a good theme where the words “60th Birthday” will be highlighted prominently with exceptional color combination and font style. 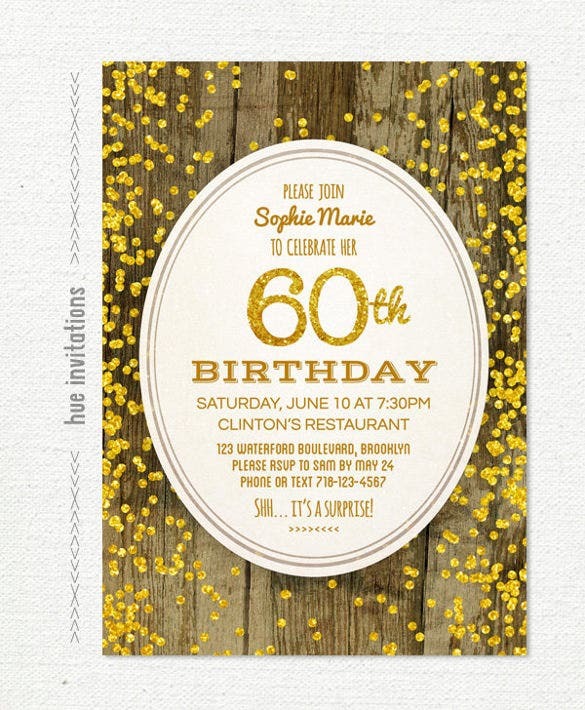 You can also see Birthday Party Invitations Here. 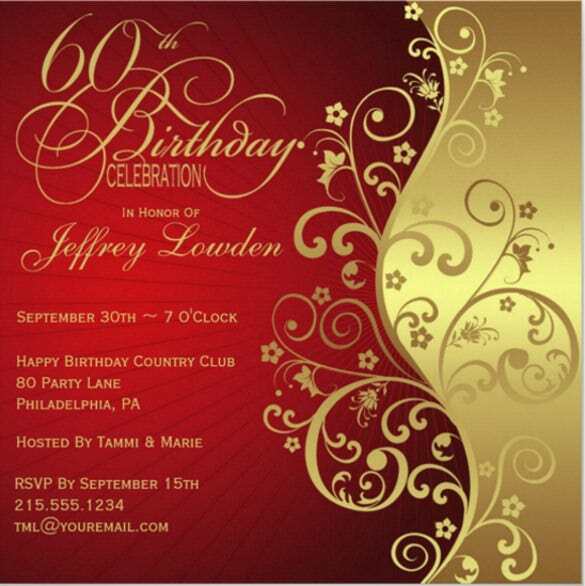 Add all information like venue of the party, date and time very precisely in the Birthday Invitations. 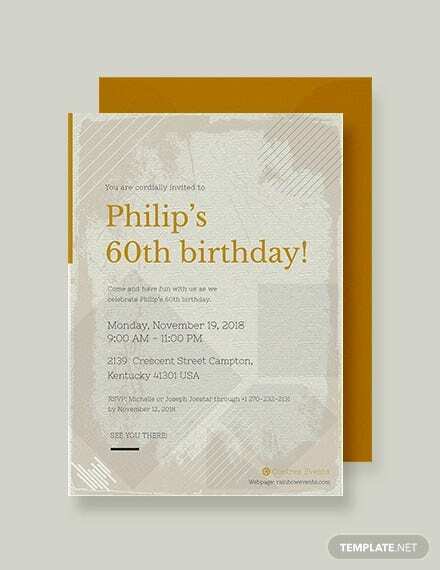 Add a few lines as a cordial invitation to the birthday invitation to show how much the presence of the invitee is expected to you and other hosts.